Wipe surfaces clean and rinse completely with water immediately after applying cleaner. Rinse and dry any overspray that lands on nearby surfaces. Do not allow cleaners to soak. Rinse thoroughly and use a soft cloth to wipe the product dry after each use. 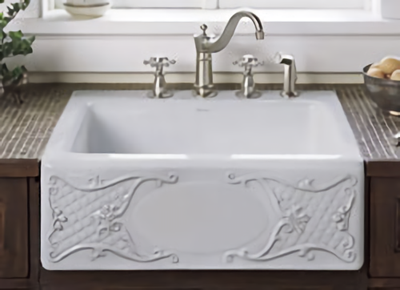 Soft abrasive cleaners may be used when necessary to clean KOHLER® vitreous china products. Strong abrasive cleaners will scratch and dull the surface.